This Jamie Young table lamp features a warm, wood base with natural grain details and a warm metal detail in the center. The white linen shade has a beautiful burlap trim to balance the wood base. 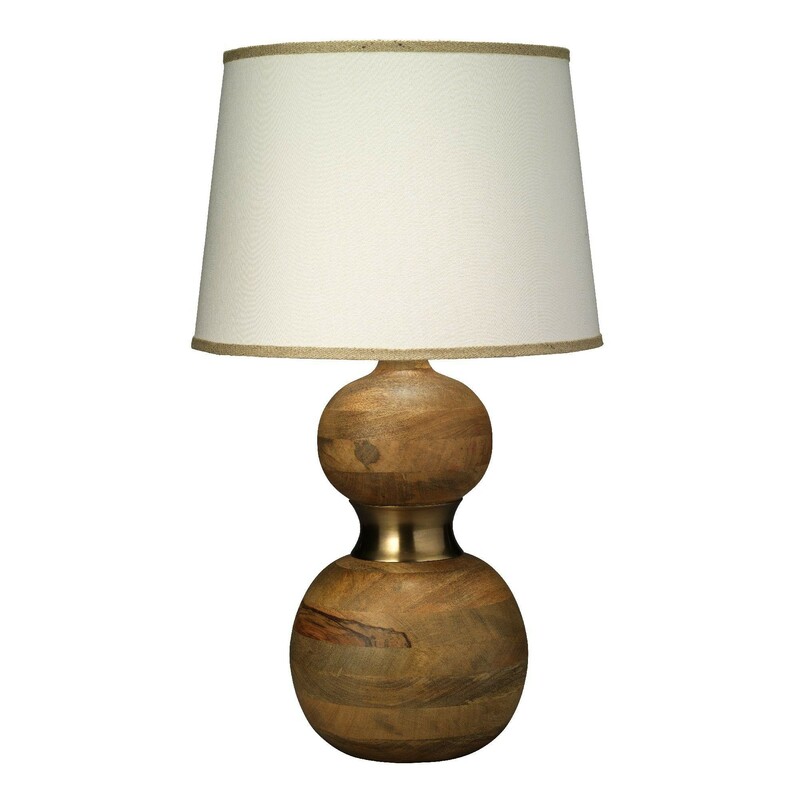 This contemporary table lamp is stylish and versatile. Total: 18" Diameter x 32.5"H.
Base: 6" Diameter x 19.5"H.
Shade: 15" top Diameter/18" bottom Diameter x 13"H.